Watch history, prophecy, and current events leap to life as best-selling author Bodie Thoene and prophecy scholar Ray Bentley lead you on a journey that melds the past, present, and future into one unforgettable story. Pastor Ray founded Maranatha Chapel in August 1984, teaching a midweek Bible study in a recreation center with 30 people. Today Maranatha serves 7,000 people weekly. He is host to the daily Maranatha Radio show heard on stations across the United States and around the world. Maranatha Chapel is a non-denominational evangelical Christian church, in fellowship with Calvary Chapel of Costa Mesa. This informal association includes the sharing of philosophical and spiritual values and the participation by our pastors in intra-church conferences. Founded in August 1984, Pastor Ray Bentley started teaching a midweek Bible study in a recreation center, with 30 people. After three months, the fellowship outgrew the center and began Sunday morning services at a local junior high school. The new church continued to grow; by the end of 1986, while still meeting in the junior high school, over 1100 people were attending, necessitating three morning services plus an evening service. Maranatha Chapel currently serves nearly 7000 people, offering solid through-the-Bible life application teaching that has become a brand of Pastor Ray's ministry. Ray's teachings are broadcast daily (Maranatha Radio) as well as four weekly live-streaming webcasts and two weekly archived services. Video clips from Pastor Ray's messages and ministry can be seen on Maranatha Chapel TV. Maranatha's publishing arm, Maranatha Media, produces a variety of printed and audio and video resources for study. 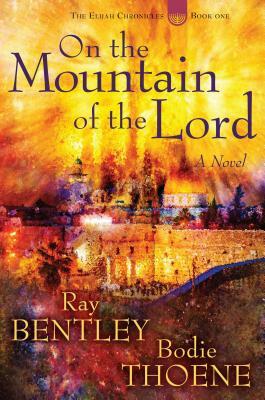 Ray has authored five books including his latest, The Holy Land Key. He is married to Vicki and they have two grown children and six grandchildren. Bodie Thoene has written over 70 works of historical fiction. Over thirty-five million of these best-selling novels are in print in 30 languages. Her byline has appeared in prestigious periodicals such as U.S. News and World Report, The American West, and The Saturday Evening Post. She also worked for John Waynes Batjac Productions and ABC Circle Films as a writer and researcher. John Wayne described her as a writer with talent that captures the people and the times. She has degrees in journalism and communications. In 2016, Bodie's writing returned to the big screen with the release of I'm Not Ashamed: The Diary of Rachel Joy Scott.